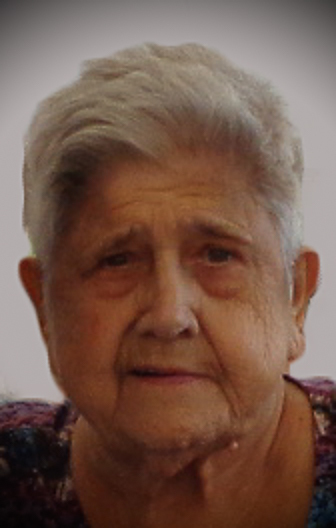 KOROL: Irene Theresa Korol (nee Charette), 82, of Thunder Bay passed away peacefully surrounded by her family on Wednesday, August 29, 2018 at the Thunder Bay Regional Health Sciences Centre. Irene was born on March 20, 1936 in Fort William, Ontario to Leda (nee Perrier) and Pierre Charette. She married Anthony (Tony) Korol and raised 3 children, Michael, Susan and Diane. She has 2 grandchildren, Bryce and Brianne and has a great grandchild on the way. Irene married Tony on November 24, 1956. During those 61 years, they travelled across Canada and the U.S. and enjoyed boating and fishing. They spent their winters in Mesa, Arizona where they enjoyed many activities and had many friends. Irene worked at Hogarth Westmount Hospital and Beacon Hill Lodge as a Nurse’s Aid, work she found very rewarding. She was a loyal member of the Women of the Moose Lodge 844. She loved playing cards such as Bridge, Hand & Foot, Cribbage and Pay Me. She was good at them all. And, of course, Irene was often heard yelling BINGO! She enjoyed knitting and crocheting, donating her baby hats to the maternity ward at TBRHSC. She was an exceptional cook and baker. Anything Irene submitted to area fairs and exhibitions, most often, won first place. Her Banana Crème pie should be considered art. Irene is predeceased by her parents, Leda and Pierre Charette, her brother, Ernest Charette and his wife Alice, her brother-in-law Bill Billington, her nephew Bill Hladysh and her son, Michael Korol. Irene is survived by her husband Anthony (Tony) Korol, her daughters Susan Korol (Claude Jacques), Diane Moore (Ramon), her grandchildren Bryce Moore (Tara) and Brianne Moore (Vince), sisters Evelyn Tominic (John), Emily Lepage and Rita Billington and numerous nieces and nephews. Thank you to the Doctors, Nurses and staff on 2A for their exceptional care and compassion. A special thank you to Dr. Garon and nurse Brittany for your dedication and compassion. Thank you to Bob Parisien for the wonderful music at the hospital. Cremation has already taken place and a Celebration of Life will take place Wednesday, September 5, 2018 at 1:00 p.m. in The Knights of Columbus Centre located at 301 May St S.
Irene Korol will be remembered in the Blake Funeral Chapel Memorial Grove. Annual dedication service Sunday, June 9, 2019.